Merry Yithmas all. I’m working on a year in Call of Cthulhu overview I hope to post in a few days. In the meantime, enjoy this Cthulhu themed Christmas tree. Just a quick heads-up to my reader; episode 4 of The Unspeakable Oath podcast is out and it features a lengthy interview with Cthulhu Mythos Encyclopedia, Fury of Yig, and lead author of Forgotten Corners of Lovecraft Country vol 1 (aka The Aylesbury book). While the topic is ostensibly how to make your game scary, I think everyone will enjoy the story about Dan’s adventures as a human shield. Judging by the date of publication I must have purchased this book in 1982 or ’83 (my copy appears to be the 6th edition). Ghosts can appear any place, and in many forms. This book will help you be ready – in case you come across one! *See the kinds of places where ghosts gather! * Learn how to hunt for ghosts in your neighborhood! *Find out how to spot a fake! While it wasn’t my first foray into the spooky realm (which was probably either “In Search Of…” or Disney’s Legend of Sleepy Hollow), this book cemented two tendancies I have retained in my interest in Call of Cthulhu – skeptical investigation and what I call the “oooooooh” factor, that tingle-inducing moment where fear gives your rational mind a beating. 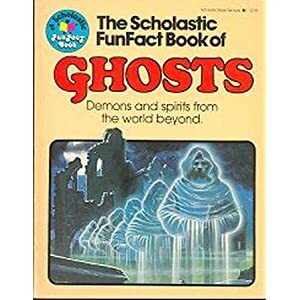 The former is easy (hey, this kid’s book claims to be the authorative treatment of “demons and spirits from the world beyond”) but the latter… now that is hard (but fun!). Combine that with some rather nice color illustrations, and I was hooked. 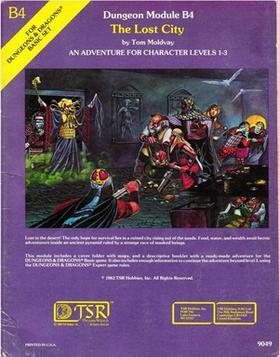 Next time: more AD&D, I swear.